Greg Lipin and Jody Miall are both avid rock climbers who regularly travel to Kentucky on climbing trips. It was there that the two friends developed a passion for ‘brown spirits’ which led them to opening their own Micro-distillery (North of 7) in Ottawa, Ontario. 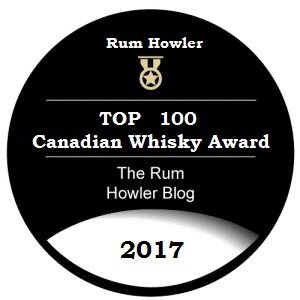 They currently produce several styles of Canadian Whisky, two versions of dark rum, as well as both gin and vodka. The subject of this review is the North of 7 Single Barrel Canadian Whisky from Barrel Number 3, which is produced in a bourbon style from Corn, wheat, rye and barley grains. The whisky was aged in for about 3 and a half years in 53 gallon oak barrels from Independent Stave Company. This is a true locally produced whisky as all of the grain used by the distillery is sourced locally from the Moulin St.-Georges Mill (corn from the Alexandria area) and the Against the Grain farm in Winchester. North of 7 Whisky is bottled at 45 % alcohol by volume and is now available for sale in the distillery store (hopefully soon at the LCBO and across Canada). I like the medium tall rectangular bottles that the North of 7 Single Barrel Whisky arrives in. 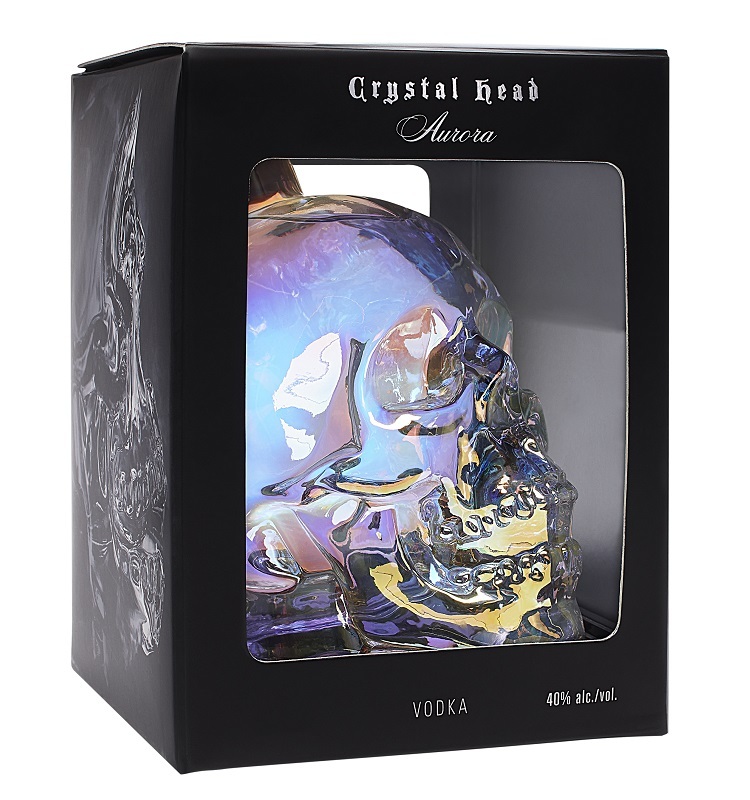 The masculine bottle implies substance especially with the heavy glass bottom and lightly tapered shoulders. The medium long neck makes pouring easy, and the synthetic cork stopper is sure to give the consumer that nice ‘pop’ when she (or he) opens the bottle for the first time. To top it off we have a very nice easy to read label with outstanding graphics which give the entire presentation a certain eye appeal. My only quibble (and this prevented a perfect score) is that the distillery uses the same brand name and almost identical label for its different whisky styles. I was sent two sample bottles (see left), and the only difference on the labels was the Mashbill information at the bottom. It would be very easy for a consumer who was expecting to purchase the Corn, Wheat, Rye and Barley mash whisky (the bourbon style) to grab a bottle of the 95 % Rye, 5 % Malted Barley whisky by mistake. As you can see, these two different whiskies have almost identical presentations. Unless you read the fine print, you do might not realize which version you are buying. When I pour the whisky into my glencairn, I immediately notice a nice updraft of oak and corn. The whisky has a bit of a bourbon flair if you will. It has a nice amber colour in the glass and when I tilt and twirl that glass I notice that medium-sized leglets form at the crest of the liquid sheen which hold steady for a few moments before dropping slowing back down to the whisky below. The distillery sample which was sent to me for this review came from a barrel which had aged just a little longer, and the impact of this additional aging was evident. Although I wouldn’t change any of those nosing notes, I need to add that the slightly older whisky is now also giving me nice cedar notes, as well as maple, honeycomb and lush toffee. There is a light sharpness from the 45 % abv. bottling strength which is preventing me from going up higher in my scoring; but I am very impressed that a whisky which has been aged for only 3 and a half years has such depth already. I should point out that my slightly older sample bottle also shows me some maple flavours, hints of orange marmalade, and indications of cinnamon and ginger. The rye grain within the mash peeks its head out as well. But it is the oak which speaks the loudest. Fortunately there is a little herbal menthol which helps with both the mildly bitter oak and the high alcohol heat. The obvious cocktail is an Old-fashioned as the addition of a touch sugar syrup will certainly help with the flavour balance, and the ice will help with the alcohol heat. I mixed my Old Fashioned serving with a dash of Aztec Chocolate Bitters and a dash of Orange Bitters. I liked the mixed drink so much I have included it as one of my suggested recipes below. I was emboldened to experiment and constructed a sour cocktail using the same bitters combination. Again things worked out great. This iteration of North of 7 Single Barrel Whisky may just a little too intense for me to sip neat; but once I mixed those cocktails I was fully onboard. The North of 7 Single Barrel Whisky has a mid-length exit filled with peppery spice and alcohol heat. I notice some nice lightly bitter rye notes in the finish soothed by butterscotch and menthol. As indicated, the North of 7 Single Barrel Whisky (Bourbon Style) might be a rather polarizing spirit. There is an overt woody quality (a result of maturation in new oak) which some will find disconcerting, while others will relish the fresh oak and cedar flavour. However, once we bring the whisky into the realm of mixology, there is a place for both camps to find enjoyment. 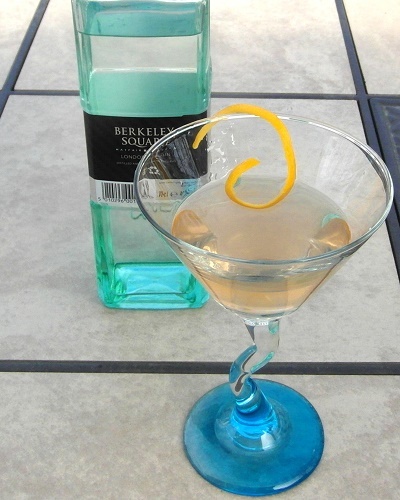 Those who relish the oaky woodiness will love the Old-fashioned style cocktail (see recipe below); those who find the overt wood disconcerting will certainly find enjoyment in cocktails like the Buckeroo or my suggested cocktail, the Ottawa Continuum (again see recipe below). My final score is 84.5/100 which recognizes both the sipping potential and the outstanding cocktail potential of the dram. Drop the peel into the cocktail if desired.